Ames Spirit Wear is back! Order forms are available to download here. 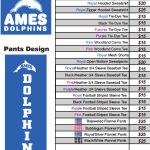 Orders due to the Ames office by Friday, February 9th.